This multi-tasking BB cream neutralizes skin-tone imbalances, minimizes shine and visibly reduces pores. It will instantly hide imperfections and smooth the appearance of fine lines. Featuring InstaFilter Technology, it is a proprietary blend of mattifying and pore balancing spherical beads, colour filter pigments and high-tech polymers. It works together to instantly optimize light reflection, blur imperfections and visibly retexturize skin. Perfecting, smoothing, protecting, hydrating, priming, line-softening, pore minimizing, shine minimizing, oil-control, blurring, and light diffusing. The BB Cream provides a liquid consistency that is not too runny and a little goes a long way. Once applied, it instantly sets into the skin and gives it a lightweight feel and semi-matte finish. It's smooth on the skin and evened out the skin tone. The BB Cream photographs amazing under flash photography as it did not create any white cast or shine in pictures. The only flaws that I have would be that there is not a huge variety of shades, with only two shades available (Light and Light/Medium), there is nothing for those who have darker skin tones. That being said, for reference, the light/medium shade I tried on has an orange undertone. Usually, selecting a light/medium shade is not a problem however this shade left my face looking a bit orange. I think the shade Light would have been a better match but otherwise, I still enjoy the texture and finish the BB Cream left on my skin. 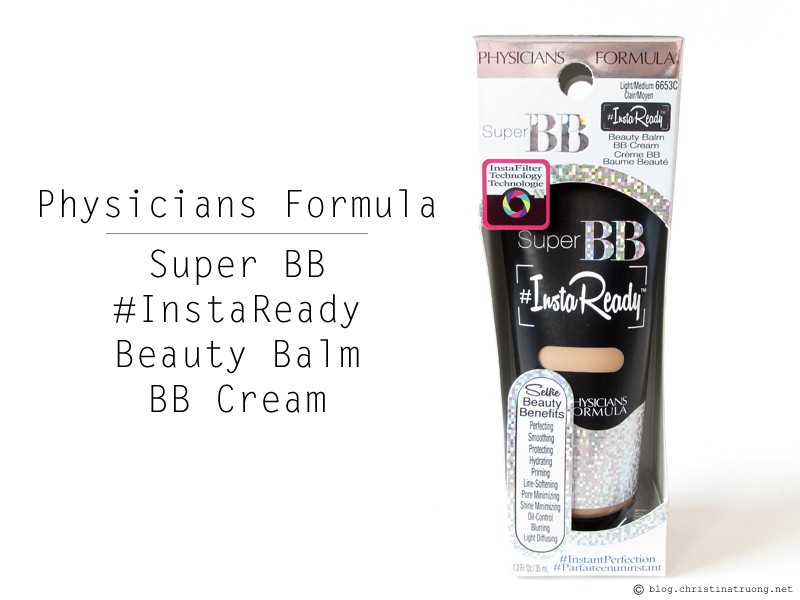 Physicians Formula Super BB #InstaReady is hypoallergenic, paraben free, gluten free, cruelty free, fragrance free and non-comedogenic. Have you tried any Physicians Formula products before? 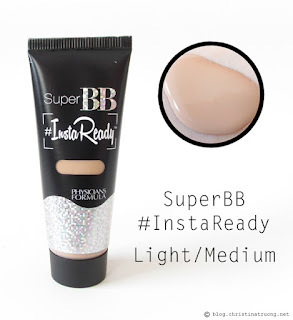 What are your thoughts on the Super BB #InstaReady Beauty Balm BB Cream? Do you have a favourite BB Cream? Disclaimer: Not sponsored. Products received from Physicians Formula at Generation Beauty Toronto 2016. Views expressed are of my own.